The Best Selling Movie Soundtrack Of All Time Was For The Movie? Which Of These U.S. States Is Known For An Architectural Detail Called A "Witch Window"? There are movie soundtracks that people love—like the soundtracks for Grease, Dirty Dancing, and Titanic—and then there are movie soundtracks that people really, really love. 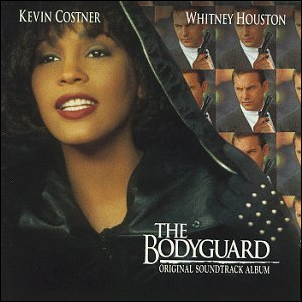 And, as the sales totals tell the story, there’s no soundtrack people have collectively loved more than that of 1992’s romantic thriller The Bodyguard starring Whitney Houston and Kevin Costner. The film itself was no box office sleeper, pulling in 411 million dollars (despite mixed-to-critical reviews from film critics), but the real gem of the entire production was the soundtrack. Two songs from the film were nominated for an Academy Award for Best Original Song. The soundtrack (as a whole and for individual tracks) was nominated for four Grammy Awards, winning awards for Album of the Year, Record of the Year, and Best Pop Vocal Performance, Female. On top of the professional accolades, the album was a runaway billboard chart success selling 144,500 copies the first week it was out. It continued to sell month after month due to the list of popular singles found on the soundtrack, including Whitney Houston’s covers of Dolly Parton’s “I Will Always Love You” and Chaka Khan’s “I’m Every Woman” as well as original songs like “Run to You” and “I Have Nothing”. All told the album went multi-platinum and as of 2012 had sold over 45 million copies worldwide—making it, far and away, the best selling movie soundtrack of all time. For any of you out there plotting to dethrone The Bodyguard soundtrack, we’ve laid out a sure-fire winning plan for you: be an incredibly talented singer, star in a movie about a singer, sing a soundtrack’s worth of smash hit songs for the movie, and in twenty years we’ll update this trivia to reflect your fame and fortune. Simple! Image Courtesy of Arista Records.